Coca-Cola is one of esports’ biggest non-endemic supporters. 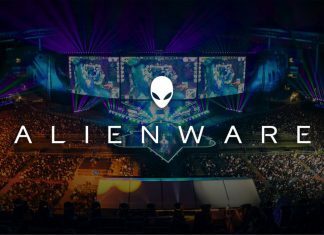 Whilst it has avoided going down the major team or tournament sponsorship route, it has undoubtedly made a name for itself with viewing parties, support of individual players and more. Attendees of the Esports BAR in Cannes will have the opportunity to pencil in a meeting with a member of the Coke Esports team. Alban Dechelotte, Senior Entertainment Marketing Manager at Coca-Cola, answered our questions. Esports Insider: Coke have been working in esports for some time now. What have you learned? Alban: We’ve learned to approach each game, community, and project we do with humility and tact. Overall we think it’s better to start small and prioritise key insights in everything we do. Esports is not a fad. This is a real community and a sustainable industry that will keep growing year after year. Esports Insider: With the latter part of 2016 seeing a number of entrants and 2017 already witnessing Visa moving into the space, what advice would you give big non-endemic brands when it comes to first entering esports? Alban: Authenticity is key. Esports fans are just as, if not more, passionate about the games, teams, and players they follow than fans of traditional sports – but it is a much tighter rope to walk. Gamers are hyper-aware and highly communicative – make one mistake or appear disingenuous and you’ll get called out for it. Not privately either. But if you understand them, speak their language, and give their passion the same level of respect and celebration as any other sport, they’ll love you for it. Esports Insider: Why did Coca-Cola choose to get involved with the Esports Bar in Cannes? Alban: We’ll be there to meet all the different parties that are currently working in or are interested in esports. Hopefully we can add value to the many different stakeholders in the space by sharing our experiences and learnings, but we’re also there to listen. We want to get everyone’s point of view about where the industry is right now and where it’s headed in the near and distant future. Hopefully by having these conversations we’ll get to hear some interesting perspectives and initiate great collaborations! Esports Insider: How does sponsorship and constructing campaigns in esports differ to traditional sports? Alban: I don’t think it does differ that much. A foundation in traditional sports marketing is the best experience you can have to start building campaigns and strategies in esports. It’s not a perfect fit though, and the biggest difference in the ecosystem is the existence of specific game ownership by way of the game developers. It’s not necessarily a good or bad thing, but the fact is that no one owns the sports of football or basketball – so it’s important to keep that in mind. Esports Insider: How do you choose your ambassadors? Alban: We look for influencers who love our product and embody our brand. Esports Insider: What have you got planned for 2017? Will we see more Coke viewing parties in cities around the world? Alban: We hope to continue to host viewing parties in 2017 and are in planning stages for other upcoming events. We’re very excited about the future of FIFA as we are now on the road to the 2018 World Cup! Coca-Cola and football has a long and wonderful history together and our partnership with EA and the FIFA game is a natural extension of that. Disclaimer: We are a media partner of the Cannes BAR (Feb 15-17) event. Less than a week remains for those interested to submit an application. You can do so here.